First Sandy devastated her. Then the state did. 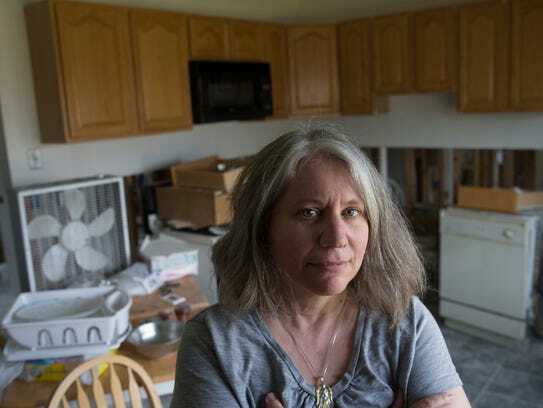 Two years after awarding grants for Laurie Fox’s storm-damaged Lacey home, the government wants its money back. The reason is nuts. 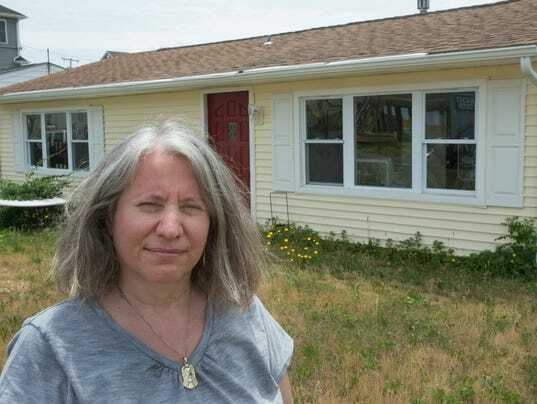 After her Lacey home got pummeled by superstorm Sandy, Laurie Fox received two relief grants totaling nearly $14,000 from New Jersey’s Department of Community Affairs. Her nightmare finally seemed to be ending. In 2015, two years after awarding the money, the state demanded it back. The reason: She failed to prove it was her primary address. So Fox gathered documentation, including four years’ worth of homestead rebates and notarized affidavits from several neighbors, but an administrative judge ruled against her earlier this month. Now she’s been devastated twice: First by Sandy, then by the system. Fox bought the three-bedroom ranch in the Forked River section of Lacey in 2002 and used it as a rental property while she lived in the Bergen County town of Little Ferry with her friend Cliff Palifrone. In 2008 she moved to the Lacey home to care for her father, who was battling cancer. After he died that year, Fox stayed there with her two pit bulls until storm damage forced them to move back to Little Ferry in October of 2012. Fox, who is 50, has a learning disability and relies on the 55-year-old Palifrone to handle much of her finances. Some of her bills go to the Lacey address, some go to Little Ferry. Because of her reliance on Palifrone, she did not change her driver’s license from Little Ferry to Lacey prior to the storm. That became Exhibit A in the DCA’s quest for a refund, even though the DCA was aware of the discrepancy when awarding Fox the resettlement and RREM grants. “They are trying to find the smallest technicality to outmaneuver the victim,” said Palifrone, who is an accountant. Lisa Ryan, director of strategic communications for the DCA’s Sandy Recovery Division, said her office does not comment on specific cases due to privacy laws. She pointed out that “DCA has an objective basis by which to determine if applicants are indeed eligible” for grants. That is true, but there’s a problem: The DCA ignored its requirements when cutting the checks to Fox. Imagine giving someone a gift and then trying to take it back — two years later. If this sounds ridiculous, that’s because it is. Come on now. Kane said the whole neighborhood was damaged, including her home. Kane had to navigate the RREM program and finally is on the verge of moving back into her home. Fox has endured a tough life. She was born with her umbilical cord wrapped around her neck, depriving her of oxygen. Yet: Give us the money back, lady. In the meantime, Fox’s home in Lacey remains uninhabitable. In a sad but telling twist, her state-assigned contractor didn’t complete the job. Carino’s Corner appears each Monday in the Asbury Park Press. Contact Jerry at jcarino@gannettnj.com.